See Robert Fiacco's painting at the bottom of this page. November 14, 1910 is considered by many to be the birth date of Naval Aviation. On that date, Eugene Ely made the first take-off from the USS BIRMINGHAM, landing ashore minutes later near the future site of Naval Air Station Norfolk, VA. 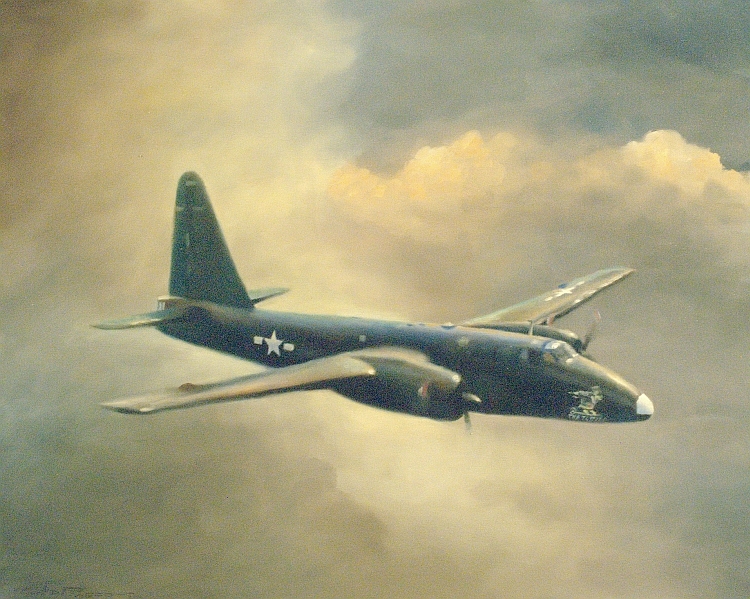 Exactly 100 years later, to the day, the Patrol Squadron Two Association informed the National Naval Aviation Museum in Pensacola, FL of its intention to sponsor the most historically significant patrol aircraft ever flown…the museum’s P2V-1... the Truculent Turtle. Sponsorship of the Truculent Turtle entails funding for restoration and future upkeep of this historic aircraft, which was destined from the production line at Lockheed, Burbank for assignment with VP-ML-2, a forerunner designation of Patrol Squadron Two (VP-2). 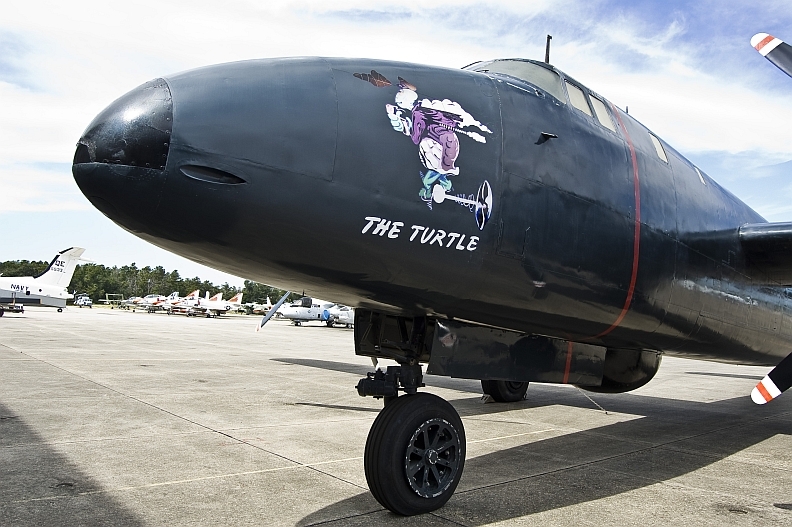 When P2V-1, BuNo 89082, became The Turtle, its intended service with the Navy changed forever. 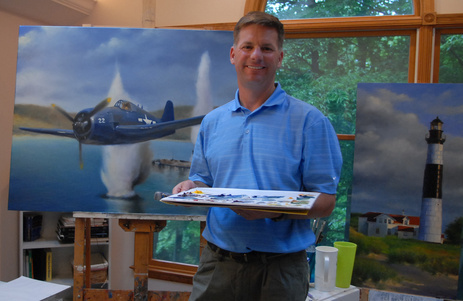 The Naval Aviation Museum Foundation was represented at the 2012 Fort Worth reunion on the Patrol Squadron Two Association by its Vice President for Development and Corporate Secretary, Capt Charles E. "Ed" Ellis, Jr., JAGC, USN(Ret). In addition to thanking the members of the Patrol Squadron Two Assn and others who contributed to the Truculent Turtle endowment, he remarked that the funds raised in this effort are dedicated solely to the support of this singularly historic aircraft. What makes this a singularly historic aircraft. In short, this aircraft eclipsed the best heavy load distance record for a non-stop non-refueled flight set by the USAF by more than 2000 miles. OK - so what? 1946 was a time when the USAF was about to become a separate service, and they were actively pursuing the control of all land based aviation platforms with plenty of support in Congress. Thus the flight of the Truculent Turtle amply demonstrated for all to see that land-based multi-engine Naval Aviation was just as capable of performing naval oriented missions requiring long ranges and heavy loads. The total endowment amount received so far is $52065.00. We’ve asked our members, the entire Navy's Maritime Patrol and Recconnaisance Community, and all other interested persons who care to participate in support of the Truculent Turtle by sending in tax-deductible donations. Your contribution will be acknowledged on the Turtle Sponsors page of the association website. Please forward your checks made out to the VP-2 Association to our treasurer, Doug Donohue, at P.O. Box 2894, Gardnerville, NV 89410. For donations by credit card please go to the National Naval Aviation Museum donor page and fill in the information requested. In the drop down "Designation" box click on "Exhibits", and then in the "Comments" box insert "VP-2 Truculent Turtle". After submission the museum will provide a receipt - please forward a copy to Doug Donohue; nvsoar@charter.net to assure donation tracking and appropriate acknowledgment.